Fernando Torres: Still Class or Permanently Crocked? Fernando Torres is a great player right? He has certainly scored some brilliant goals – as you will see below – and by scoring 24 goals in his first season in the Premier League, and forcing Liverpool into a title push during his second proved as much. A rather crude measure of his influence is how Liverpool have struggled during the past couple of years when he has not been at his best. It is this rather prolonged period in the doldrums though that I find rather worrying. He has continued to score goals but there have been doubts that he is injury prone and has not maintained that destructive form of old. This year he has managed 9 goals in the league and since joining Chelsea in January has still not scored. The arms race between forward lines and the defence has meant that centre backs have become quicker, bigger and stronger with centre forwards having to become also faster and more skillfull to be able to compensate. 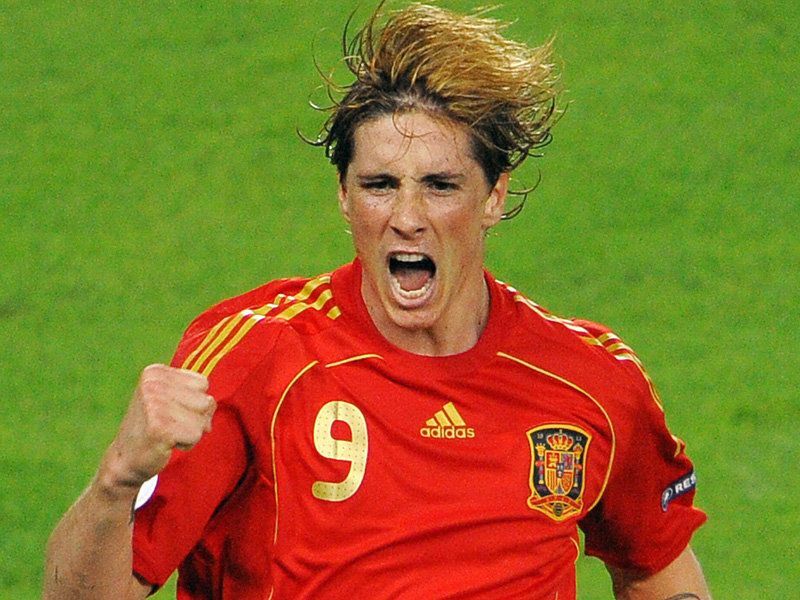 Fernando Torres’ weapons have been his searing pace, quick feet and potent finishing. The problem I think he is finding is that the final part of his skill-set is largely reliant on the first part, in that he has relied on his pace and power in the past to get in to the positions to score. It is my opinion, which is admittedly based in little quantifiable fact, that for one reason or another Torres has lost some of his speed, which has inhibited his ability to get himself into some of the positions he used to. Cases of strikers having prolonged drops of form are by no means rare. Adriano had his contract with Roma terminated this month after failing to impress this season. Adriano was once one of the most feared strikers playing in Europe, who had a vicious left foot and scored plenty of goals for 5 years in Italy. It has been suggested that he no longer has the mentality to make the sacrifices needed to be an elite player, which has led to his decline. Michael Owen is another example. Once a striker who could burn past the quickest of defenders, a series of injuries has left him a fraction of the player he once was. The very nature of the confrontation between strikers and defenders means that the existence of a top level striker is very marginal. Defenders tend to have the advantage in general and attackers need to make use of every attribute they own to make the most of any opportunity. If for some reason a centre forward loses their spark and fails to adapt, it is not hard to see how they can quite easily fall from grace quickly. Now I hope this is not the case for Fernando Torres. I enjoy watching him and think he is one of those few players who can win games by himself throughout a season but I fear that injuries have stolen his most potent weapon and may find that the inauspicious start to his Chelsea career is not just a blip. This entry was posted in Football and tagged adriano, Chelsea, Football, liverpool, michael owen, torres. Bookmark the permalink. 2 Responses to Fernando Torres: Still Class or Permanently Crocked? I’m afraid there is not a single striker I can think of who has come back from a “prolonged drops of form” to be as good as he was. Once you lose that edge it seems it’s gone forever, Ian Rush when he returned from Italy had lost a yard of pace, though he continued to score plenty of goals he simply wasn’t ever as sharp. Michael Owen, even when he can take the field is nothing like as clinical and as for Shevchenko, lets not even go there, except to say that his was the most similar situation to that of Torres. Ronaldo came back from horrible knee injuries to win it all with Brazil, including the World Cup. It can be done (to come back) but it’s hard.